David and Jan Lee first visited the Antlers 22 years ago. The following Christmas, they decided that the perfect gift would be to share that experience with their family. 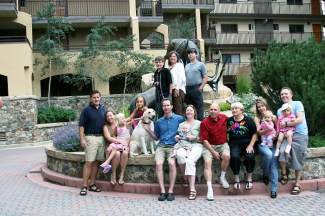 Every year since, they have given each member of their family a week-long vacation by having their family reunion in Vail. The Antlers at Vail is excited to welcome the Lee family back once again. Enjoy your 21st family reunion in Vail!